Estimated number of negative annual returns over any 20 year period is less than 4. See Risk explained below. Investment return objective of 3.0% pa above inflation over rolling 7 year periods. My West State Super plan suited to members who have at least a 7 year investment time horizon. $381 per year in fees and other costs for a member with an account balance of $50,000. Change plan You can change your plan to the My West State Super plan by logging into Member Online. To achieve CPI* + 4.90% pa over rolling 10 year periods. Medium to high risk (based on Standard Risk Measure bands). Estimated number of negative annual returns over any 20 year period is less than 4. $381 per year in fees and other costs for a member with an account balance of $50,000+. 10 year average annual return of 6.85% as at 30 June 2018. West State Super is an 'untaxed' scheme that is now closed to new members and has a number of unique features which you should be aware of. This 'Product dashboard' is for a 'Choice' investment plan. 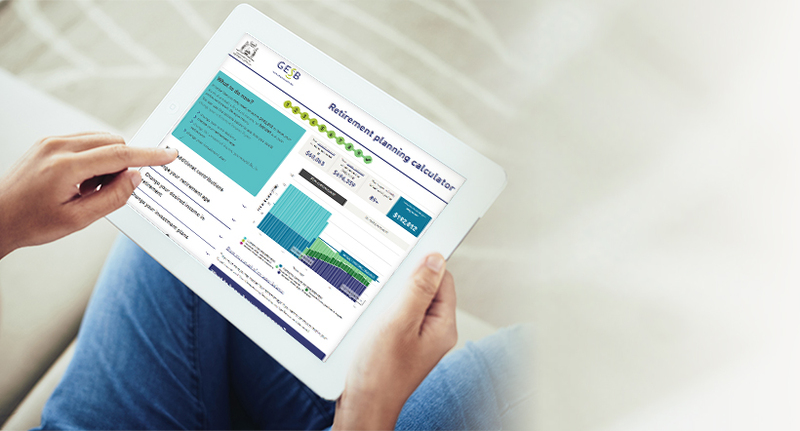 While legislation on the 'Choice product dashboard' requirements is still pending, we are using the 'MySuper product dashboard' requirements to display the information on this page. The return target is the mean (average) estimate of return above the growth in the Consumer Price Index (CPI). It is calculated as a long-term annual average rate of return. As this figure is based on the mean, we expect to meet or exceed the return target roughly 50% of the time. Statistically, this means that 50% of all rolling long-term (e.g. 10 years or more) periods are expected to have an average return that is less than the return target. Obtaining a return that is equal to or above the return target is not guaranteed. The return target is an estimate. The method to calculate a return target is prescribed by the Australian Prudential Regulation Authority (APRA), and is intended as a way to compare different MySuper funds. It is not the plan's investment objective. The investment objective is to achieve CPI* + 3.0% pa over rolling 7 year periods. We expect that long-term average returns will achieve or exceed the investment objective more frequently than the return target. + Statement of fees and other costs are based on fees as at 2017/18 financial year. Includes all investment and administration fees and expenses for an account balance of $50,000. For more information, see the West State Super schedule of fees . You should read all the information about fees and costs, because it is important to understand their impact on your investments. ^ Returns are reported before-tax and net of Indirect Cost Ratio (ICR) and Administration fees. The ICR includes all of the investment costs and any additional underlying costs relating to your investment. The returns shown here are different from those shown on other pages as they are based on a member with an account balance of $50,000 and are reported net of Administration fees. Inception date of the My West State Super plan is 1 July 2001. Our schemes are Exempt Public Sector Superannuation Schemes and are regulated by the State and not the Commonwealth. Performance information may not be calculated in the same way as other APRA-regulated superannuation funds therefore should not be relied upon for comparison purposes. The State guarantees to pay every benefit payable under a scheme, including the accumulation, retirement and defined benefit schemes. Benefit Payment Guarantee does not include investment market losses. Performance information should be used as a guide only. The performance of your investment plan is not guaranteed and returns may move up or down depending on market conditions. Past performance should not be relied on as an indication of future performance. For more information visit investment returns or unit prices. The graph shows the value of $10,000 invested from 1 July 2001 in the My West State Super plan, when compared to the plan's benchmark returns and the West State Super Cash plan. The growth in plan balances are net of Indirect Cost Ratio (ICR) only. Administration and account keeping fees have not been deducted. The My West State Super plan invests in both growth and defensive assets and is designed for people who can accept a moderate level of fluctuation in investment returns from year to year, for an increased likelihood of moderate to strong earnings. Both the Moving average return^ and Moving average return target^ are annualised returns over rolling 10 year periods. For years where the full 10 year data is not available, the Moving average return and Moving average return target, will not be shown. For more information on this plan, refer to the West State Super Product Information Booklet. The inception dates for all West State Super plans is 1 July 2001. No investment can ever be guaranteed to perform well. The nature of investing means there’s always the potential for your investment to lose value from year to year. Over the long term, you can think of risk as the chance that the rate of return on your investments might not be enough to provide you with the income you’ll need in retirement. The appropriate level of risk for you will depend on your age, how long you’re investing for, what other assets you might have outside super and how they are invested, and how comfortable you are with the possibility of losing some of your investment in some years. When choosing your investment plan, the amount of time you want to invest for may impact how much risk you’re willing to take. You don’t need to choose the best performing investment plan. You need the one that best suits your investment personality and your goals. Generally speaking, the higher the potential return from an asset over time, the higher the potential risk. 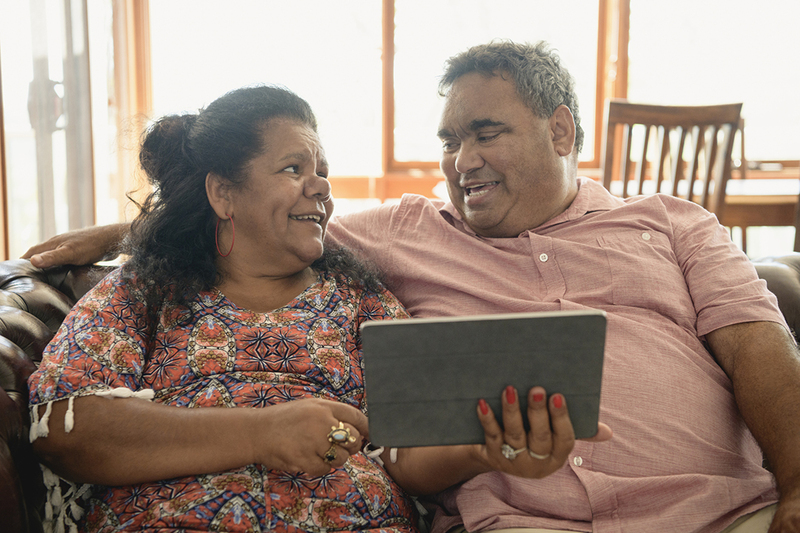 The Association of Superannuation Funds of Australia (ASFA) and the Financial Services Council have created the Standard Risk Measure to help members compare the potential risk of various investment plans. Shown below are the Readymade and Mix Your plans for West State Super, and where they sit on the risk scale compared to each other. The plans are positioned on the chart based on their risk level. You can see that the Readymade Growth plan is lo9wer risk than Mix Your plan Australian Shares. That's because the Growth plan also includes assets like Investment Grade Bonds and Cash which bring the risk down. The combination of high risk and low risk assets set the risk level for each Readymade plan. For more information on investment risk, please refer to the West State Super Product Information Booklet or Investment choice brochure. GESB invests your super across a range of asset classes as shown* in the graph below. The Strategic Asset Allocation primarily influences the expected investment risk and return for each investment option. The Strategic Asset Allocation is designed to achieve the long-term investment return objective for each investment option. Graph showing what assets this plan is invested in. The X axis shows percentage of allocation graphically. The Y axis shows the asset class type and displays the target percentage numerically. * The Strategic Asset Allocation as at 28 August 2018. Strategic Asset Allocation, asset allocation ranges or the compostion of individual asset classes may change from time to time, without prior notice. We invest in equity instruments of entities listed on the Australian stock market. Investments may be direct or unitised and may include long/short equity funds. The top stock holdings shown represent 34.20% of the total holdings for Australian Shares. Please note: any exposure to derivatives for risk management purposes including futures, options, etc are not included in the security holdings listing. This portfolio holdings information is correct as at 30 June 2018. We invest in equity instruments of entities listed on a developed or developing country's public stock exchange. Investments may be direct or unitised and may include long/short equity funds. The top stock holdings shown represent 16.44% of the total holdings for International Shares. Please note: any exposure to derivatives for risk management purposes including currency, forward exchange contracts, futures, options etc are not included in the security holdings listing. We invest in Private Equity by investing in unlisted Australian Shares, unlisted International Shares and certain types of unlisted Australian and International Equity, and certain types of unlisted Property and debt. Please note: investments in the Private Equity asset class are only available to the Readymade plan options. We invest in unlisted, real Property funds and in Real Estate Investment Trusts (REITs) listed on an Australian or overseas stock exchange, or other such listed securities which derive their income predominantly from real Property rents, Capital growth and Property services. *These securities are classified as unlisted Property. Note the Mix Your plan Property option only invests in listed Property investments. The top security holdings shown represent 47.43% of the total holdings for Property. Please note: any exposure to derivatives for risk management purposes including currency, forward exchange contracts, futures, etc are not included in the security holdings listing. Infrastructure was funded in September 2016. We may invest in unlisted Infrastructure assets and funds in Australia and overseas. GESB may also invest in listed Infrastructure vehicles that trade on Australian and overseas stock markets. The top holdings shown represent 50.86% of the total holdings for Infrascructure. Please note: investments in the Infrastructure asset class are only available to the Readymade plan options. We may invest in listed and unlisted funds which invest in Medium Risk Alternative asset classes or which utilise Medium Risk Alternative strategies. The Medium Risk Alternative investments category may include absolute return funds, private debt, high yield debt, commodities and financial derivatives and can also include investment strategies that gain exposure to the traditional asset classes using dynamic investment approaches. The top holdings shown represent 69.74% of the total holdings for Medium Risk Alternatives. Please note: investments in the Medium Risk Alternative asset class are only available to the Readymade plan options. Investment Grade Bonds include fixed, floating and inflation-linked debt instruments. Please note: the Mix Your plan Fixed Interest option has exposure to the Investment Grade Bonds asset class. The top issuers shown represent 41.40% of the total holdings for Investment Grade Bonds. Please note: any exposure to derivatives for risk management purposes including currency, forward exchange contracts, futures, interest rate swaps, etc are not included in the holdings listing. Defensive Alternatives includes fixed, floating and inflation-linked debt instruments issued by Governments and Corporations. The top issuers shown represent 30.90% of the total holdings for Defensive Alternatives. Cash includes a range of bank deposits and short-term debt securities issued by Australian governments and corporations. The top issuers shown represent 100.00% of the total holdings for Cash. Please note: any exposure to derivatives for risk management purposes are not included in the holdings listing. On recommendation of its asset consultant, GESB employs a diversified group of external investment managers to invest your funds. GESB typically has multiple investment managers in each asset class to mitigate the risk of having a concentrated exposure to a particular investment manager or a particular investment style. Investing in Australia and overseas is complex - so we use professional investment managers. Our investment managers are companies which specialise in buying, selling and analysing specific types of investments, or asset classes. Our investment managers buy and sell assets on our behalf. For example, our investment managers for Australian Shares work within our risk guidelines to decide which companies to buy and sell Shares in, and then place orders for those Shares. This approach means we can use the skills of a range of investment managers from around the world without having too much influence from a particular manager or investment style. It allows us to maintain a balance of assets across a range of investment managers, which helps us to achieve our investment goals over the long term. Our asset consultant has an in-depth understanding of investment markets and uses a thorough and detailed process to find the right investment managers. Our asset consultant looks for the investment managers which have defined investment approaches and are most likely to help us achieve long-term returns. We regularly review our choice of investment managers. We check their risk and return profiles and check that they meet our expectations. For more information see our Investment Governance Statement and asset consultants approach to responsible investing. We’ve listed the investment managers we use for each asset class. Find out more about each investment manager, including an interesting fast fact. Allan Gray was formerly known as Orbis Investment Management (Australia). 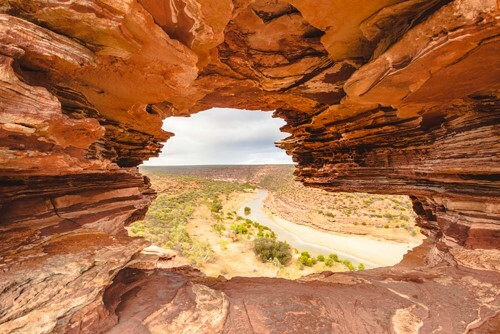 To manage an active portfolio of Australian equities. Allan Gray Australia (Allan Gray) has been investing on behalf of Australian investors through their contrarian investment approach since 2005, as the wider group has done in South Africa since 1973. Allan Gray's investment process will generally establish portfolios biased towards both value and small capitalisation stocks. Allan Gray focuses on buying shares at a discount to the underlying intrinsic value of a business. This often happens when businesses are broadly disliked or vilified in the popular press. Being contrarian is a difficult investment discipline, but can also be the most rewarding over the long term. BlackRock is a global leader in investment management, risk management and advisory services for institutional and retail clients. To manage an indexed portfolio of Australian equities. BlackRock is a global leader in investment management, risk management and advisory services for institutional and retail clients. At 31 December 2016, BlackRock's Assets Under Management was $5.1 trillion. BlackRock helps clients around the world meet their goals and overcome challenges with a range of products that include separate accounts, mutual funds, iShares® (exchange-traded funds), and other pooled investment vehicles. BlackRock also offers risk management, advisory and enterprise investment system services to a broad base of institutional investors through BlackRock Solutions®. As of 31 December 2016, the firm has approximately 13,000 employees in more than 30 countries and a major presence in global markets, including North and South America, Europe, Asia, Australia and the Middle East and Africa. BlackRock is committed to becoming the most respected investment and risk manager in the Australian market. They are an integrated asset management business with locally-based investment, risk management, and client service functions. They have three Australian offices - Sydney, Melbourne and Brisbane - accommodating approximately 180 staff, including a 15 strong team dedicated to institutional clients. Pendal’s Australian equity portfolios are managed in a ‘core’ investment style. This enables Pendal to deliver consistent outperformance, regardless of market trends, through active stock selection and company research. Pendal Institutional Limited (Pendal) is an independent, global investment management business, focused on delivering superior investment returns for its clients through active management. Pendal offers investors a range of Australian and international investment choices, including shares, property securities, fixed income and cash strategies, as well as multi-asset and responsible investments. To complement its in-house expertise, Pendal also partners with leading global investment managers. Pendal does not have a ‘house view’ and operates a multi-boutique style business. Pendal’s investment teams are supported by a strong operational platform across risk and compliance, sales, marketing and operations, allowing its fund managers to focus on generating returns for its clients. Pendal is a wholly owned subsidiary of Pendal Group Limited (ASX: PDL). With A$99 billion1 in funds under management (as at 31 March 2018), Pendal Group Limited is one of Australia’s largest and most enduring pure investment managers, with a market capitalisation of around $3.6 billion. 1 Includes J O Hambro Capital Management assets under management. Perpetual Investment Management Limited adopts an investment style based on bottom-up fundamental analysis, seeking quality companies with sound management, conservative debt levels, recurring earnings and a quality business. Perpetual Investment Management Limited (PIML) is one of Australia's leading investment managers. PIML is part of the Perpetual Group, which has been in operation for more than 125 years. 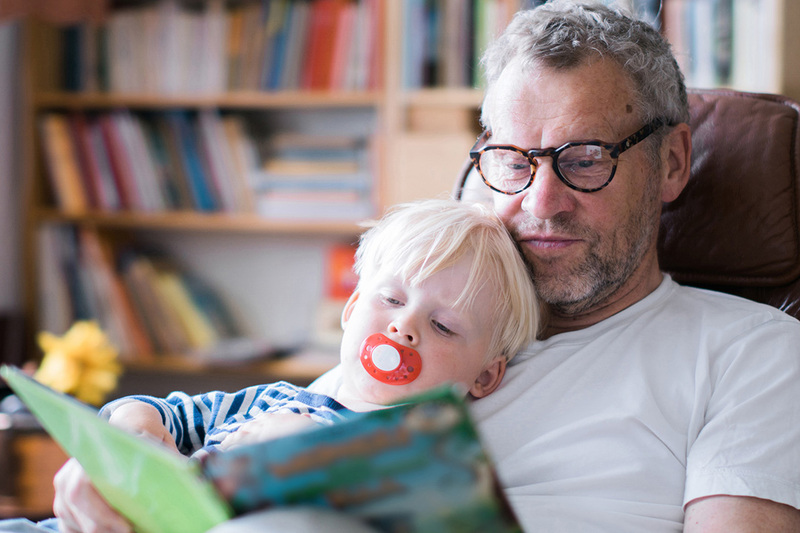 By employing some of the industry's best investment specialists and applying a proven investment philosophy, Perpetual has been able to help generations of Australians manage their wealth. With one of Australia's largest, most well-resourced and experienced investment teams, PIML offers investors expertise across four major investment capabilities: Australian Equities; Global Equities; Cash, Credit and Fixed Income; and multi asset strategies. PIML's investment management approach is to make active investment decisions based on intensive analysis of an investment's quality, value and risk. Rather than trying to predict where markets are heading - the investment teams simply try to choose the best quality investments at prices that represent good value, based on their potential risks and returns. PIML is also a signatory to the United Nations Principles for Responsible Investment (UNPRI) which means analysts and portfolio managers consider the environmental, social and governance factors that can the affect the quality and value of an investment. Solaris' empowered analyst model is designed to produce long-term consistent alpha generation with crystal clear performance attribution. Solaris is a highly experienced, style-neutral Australian Equities funds manager with a tried and tested investment process forged over 2 decades. Servicing a variety of clients, Solaris provides investment management for institutional, family office and platform investors. The business is majority owned by the team and is comprised of 10 experienced investment professionals with an average investment experience of 17 years. Solaris offers core, concentrated, ESG and after-tax strategies to suit specific investor needs and objectives. The Solaris investment process identifies stocks with the best expected return, regardless of perceived style. Solaris pick stocks using fundamental analysis to exploit market inefficiencies in forecasts and valuations. To optimise the conversion of fundamental research into investment portfolios, Solaris empowers their analysts by combining their analytical role with that of portfolio manager. This combination ensures the portfolio is constructed purely from the ground-up using the knowledge and skill of the people at the analytical 'coal face'. The analyst is responsible for the stock-picking decision from beginning to end and is held accountable by reference to performance attribution. This performance attribution then drives their annual remuneration outcomes. The use of multiple portfolio-manager/analysts also diversifies the decision-making process delivering more consistent outperformance, together with lower key person risk. Tribeca's investment process leads them to focus on the higher quality, industrial stocks in the index. To manage an active portfolio of Australian small capitalisation equities. Established in 1998, Tribeca Investment Partners is an Australian-based, boutique fund manager with a reputation for delivering on performance targets. Tribeca's clients are those who actively seek innovation beyond the mainstream. Distinct in its market, Tribeca blends traditional fundamental qualitative research with quantitative analysis, combining quality investment decisions with the insight of successful experience. The Small Capitalisation strategy provides exposure to listed Australian companies outside of the top 50 and predominantly outside of the top 100 ASX listed companies by market capitalisation. This strategy seeks to benefit from the concept of information arbitrage and deliberately skews its exposure toward the higher quality companies available within the investible universe. To manage indexed portfolios of global and emerging market equities. CAM refers to their global equity investment approach as 'Trend Based Stock Picking'. To manage an active portfolio of global equities. 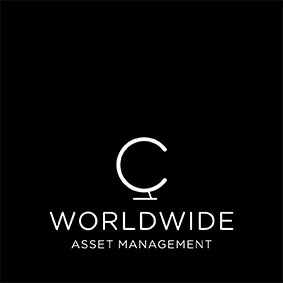 C Worldwide Asset Management (CAM) is a Danish-based global equity investment manager, founded in 1986. CAM had assets under management of AUD$18 billion as at 30 September 2016, with the majority of its assets invested in global equities. The firm's objective is to deliver consistent long-term asset growth for clients. CAM's unique portfolio management style is based on careful stock picking and long-term global trends. The most distinctive feature of its investment philosophy, which has remained unchanged since the firm's inception in 1986, is its 30 high conviction stock target. Its relatively concentrated portfolio ensures a disciplined and focused approach emphasising selectivity. Importantly, a focused portfolio results in a disciplined buy and sell approach based on the 'one-in, one-out' better alternative principle. CAM believes that by focusing on the long-term structural environment and selected global themes and trends, coupled with a long holding period when investing, the best risk-adjusted return can be achieved. Finding and investing in a select few good ideas is the key to how the firm adds value over the long term. All of Causeway's strategies are managed through a fusion of fundamental and quantitative research disciplines. Causeway Capital Management LLC is an employee-owned investment management firm based in Los Angeles, California. Causeway specialise in managing global, international, emerging market and absolute return equities. The firm's mission is to provide clients with superior risk-adjusted returns, while maintaining a culture of responsibility and accountability. Causeway believes its fusion of fundamental and quantitative research gives the firm a global knowledge advantage, which it puts to work efficiently for its clients. The firm's value strategies employ a deeply ingrained research culture in which ideas are debated vigorously. This creates an environment that fosters unconventional thinking and innovative insights. Causeway's fundamental research team has a 25-year record (including its former firm) of continuity in its principals. This has led to stability of personnel, investment style, clients and intellectual perspective. The firm invests in major equity markets across the globe, spanning the U.S., international, and emerging markets. A comprehensive research department of fundamental and quantitative analysts supports its global equity strategies that are managed by a team of portfolio managers. Copper Rock is a boutique firm specialising in global small and mid capitalisation equity investing. To manage an active portfolio of global small capitalisation equities. Copper Rock Capital Partners LLC (Copper Rock) provides specialised global equity investment management solutions for institutional investors worldwide. Copper Rock has been managing International and Global Small Cap strategies since November 2008. The firm is an affiliate of Old Mutual Asset Management (US) with Copper Rock employees having a 35% ownership stake in the firm. Copper Rock uses quantitative and fundamental analyses to identify companies with superior growth rates. This strategy seeks to outperform the benchmark through superior, bottom-up stock selection. The quantitative process integrates simultaneous inputs from the proprietary quantitative model and, detailed company analysis. In addition, Copper Rock's investment professionals conduct extensive, hands-on fundamental research through meetings with company management which further confirms the investment thesis on each position in the portfolio. This combination of quantitative and fundamental analysis is used to construct a concentrated portfolio of outperforming securities. Investec Asset Management is a specialist investment manager. To manage an active portfolio of emerging market equities. Investec Asset Management is a specialist, active investment manager, providing an extensive range of strategies and portfolio tools, covering major asset classes, sectors and geographies. It all began in South Africa in 1991, where the company were a small start-up asset manager offering domestic strategies in an emerging market. Over twenty five years of growth later they are an international business managing approximately $142.4 billion (as at 30 September 2018) for clients based all over the world. Investec Asset Management provides investment products and services to institutions, advisory clients and individuals. Their clients include pension funds, central banks, sovereign wealth funds, insurers, foundations, financial advisers and individual investors. Investec manages an active portfolio of emerging market equities. Mesirow Financial is a leading, independent currency specialist, delivering customised risk management solutions to institutional clients globally since 1990. To manage a passive currency hedge over GESB's international equity portfolio. Mesirow Financial delivers a full range of currency risk applications, both passive and active, tailored to their client's specific context and objectives. With over A$90 billion in Currency Risk Assets under Management, Mesirow Financial has the expertise to provide objective, strategic advice and implement effective, best practice currency risk solutions for their global clients. Schroders is a quantitative value and quality style manager. Schroders plc is one of the largest and most internationally diverse, independent investment managers providing investment management, research and marketing services from 37 offices located in 27 countries. Schroders only focuses on asset management and therefore its goals are completely aligned with those of its clients - ie the creation of long-term value. Schroders manages funds on behalf of institutional and retail investors, financial institutions and high net worth clients from around the world, invested in a broad range of asset classes across equities, fixed interest, multi-asset and alternatives. Over 3,100 people are employed worldwide, operating from offices in different countries across Europe, the Americas, Asia Pacific and the Middle East, close to the markets in which it invests and close to its clients. Schroders' team of 429 investment professionals are based in 18 of our offices around the globe contributing local knowledge and investment ideas to our global research network. This means Schroders can identify investment potential wherever it is located. In Australia, Schroders is a wholly owned subsidiary of Schroders plc. Established in 1961, Schroders Australian business manages funds across a broad range of asset classes. To manage a passive currency hedge over GESB's private equity portfolio. The firm covers the global private markets across multiple sectors and operates from 12 offices in eight countries. To manage a global private equity portfolio. StepStone is a global private markets firm overseeing more than US$96 billion of private capital allocations, including approximately US$24 billion of assets under management. The firm provides comprehensive coverage of the private markets, including private equity, private debt, real estate, infrastructure and real assets. It is a fully-integrated organisation that engages in primary, co-investment, secondary, and monitoring and reporting activities across each of these areas. StepStone specialises in providing bespoke private markets investment management and advisory services to institutional clients using industry-leading analytics and research capabilities. The firm is managed by 30 partners who are supported by over 175 professionals across offices in Perth, Beijing, Hong Kong, La Jolla, London, New York, San Francisco, São Paulo, Seoul, Sydney, Tokyo and Toronto. With offices staffed by local investment professionals, StepStone uses a local approach in each of the markets in which it operates globally. To manage an indexed portfolio of global listed property securities. To manage a passive currency hedge over GESB's Property portfolio. Morgan Stanley Investment Management actively manage capital across public and private markets worldwide, working to create alpha for its portfolios and results for its clients. To manage a diversified portfolio of global listed property securities. Morgan's long-tenured professionals aim to provide unique market insights, single-sector and multi-asset strategies, and custom solutions. With more than four decades of asset management experience, the firm's investment strategies span the risk/return spectrum across geographies, investment styles and asset classes, including equity, fixed income, liquidity, alternatives and private markets. Each of Morgan's investment teams has a unique talent pool of experienced professionals who share the same core values of fiduciary responsibility and commitment to investment excellence that have been the hallmarks of Morgan Stanley Investment Management since its establishment. Resolution Capital adopts a multi-portfolio manager approach for its portfolio construction. Resolution Capital Limited is a specialist global real estate securities manager with a successful long-term investment track record and strong culture of fiduciary responsibility. Resolution Capital, established in 2004, is headquartered in Sydney, Australia and maintains an office in New York. It believes that listed real estate is an excellent means of gaining exposure to the underlying returns of some of the world's highest quality real estate assets in a simple, transparent, liquid and tax-efficient form. Resolution Capital is a value-oriented investment manager with the objective of delivering superior risk-adjusted long-term returns, compared with recognised industry benchmarks. The firm achieves this by investing in a concentrated portfolio of carefully selected listed real estate securities, with an emphasis on avoiding fundamental flaws that could reasonably result in permanent impairment of the underlying investments. This aligns the firm's investment process and security selection with clients' objectives of long-term real wealth creation and avoids a culture of index hugging. To manage an indexed portfolio of global listed infrastructure securities. To manage a passive currency hedge over GESB's infrastructure portfolio. Morrison & Co is a specialist infrastructure investment and asset manager focused on infrastructure investments, in both private and listed markets. To manage a portfolio of global, unlisted infrastructure assets. Founded in 1988, Morrison & Co is a specialist infrastructure investment and asset manager focused on infrastructure investments, in both private and listed markets. 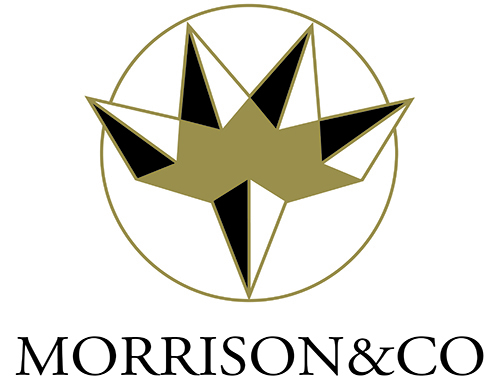 Morrison & Co currently manages approximately A$15 billion in consolidated assets on behalf of its clients. Morrison & Co’s longest standing client is the NZX/ASX-listed infrastructure investment vehicle, Infratil Limited (Infratil). Infratil was founded by Morrison & Co in 1994 and successfully managed since its creation. Infratil’s current portfolio includes assets in Australia, New Zealand and the United States. Morrison & Co also manages a global infrastructure portfolio on behalf of sovereign wealth funds, pension funds and other public and private pools of capital. Morrison & Co has established a strong presence in Australian and New Zealand public-private partnership (PPP) investment, with three dedicated PPP funds and a team of specialist resources focused on social infrastructure opportunities across the region. Morrison & Co has offices in Sydney, Wellington, Auckland, Hong Kong, Melbourne, Brisbane, London and San Francisco. It performs a combination of investment, portfolio construction and asset management services for its clients. RARE is an infrastructure specialist, managing funds. They are not fund managers managing infrastructure. To manage an active portfolio of globally-listed infrastructure securities. Founded in 2006, Risk Adjusted Returns to Equity (RARE) is a specialist investment manager, focused exclusively on globally listed infrastructure. This infrastructure include assets such as airports, rail, roads, electricity, and gas lines, which are all services needed by local and national economies to function and prosper. Within a portfolio, globally listed infrastructure offers the potential for lower volatility, stable cash flow, inflation protection and diversification. RARE's mission is to provide investors with portfolios of high-quality global infrastructure assets with the goal of delivering strong absolute returns over an investment cycle. RARE's investment approach is reflected in their name - Risk Adjusted Returns to Equity (RARE). Understanding and managing the relationship between risk and return is at the heart of their bottom-up investment process. RARE has developed a solid track record as the largest listed infrastructure manager globally with offices in Sydney, Melbourne, London and Chicago. Clients include government, corporate and industry pension funds, sovereign wealth funds and other large institutional investors as well as retail funds in Australia, UK, US, and Canada. In 2009 RARE became a signatory of the U.N. Principles for Responsible Investment. Legg Mason Asset Management acquired 75% of RARE in 2015 with Pacific Current Group having a 10% equity interest and staff owning the remaining 15%. Bain Capital Credit is a specialist sub-investment grade credit manager. To manage an active portfolio of sub-investment grade credit securities. Bain Capital Credit is an independently managed affiliate of Bain Capital, a leading global credit specialist. Their global investment team focusses on identifying the most attractive credit opportunities in North America, Europe and Asia Pacific and invest across the full spectrum of credit strategies. This includes leveraged loans, high-yield bonds, distressed debt, private lending, structured products, non-performing loans (NPLs) and equities. The cornerstone of their investment philosophy, is to generate attractive risk-adjusted returns for investors through rigorous due diligence at the industry, company and individual security level. Bain Capital Credit seeks to maximise expected, not potential, returns. They achieve this through fundamentally driven, bottom-up security selection that leverages the depth and experience of their investment team. Bain Capital Credit partners with institutions from around the world, ranging from pension funds to endowments and foundations to sovereign wealth funds. Bain Capital Credit has built a long-standing relationship with investors since their inception in 1999. Their focus is on transparency and best-in-class service to all of their investors. To manage a multi-strategy absolute return fund. Schroders specialise in asset management. To manage a diversified portfolio of securities and asset classes with an inflation plus five percent return objective. The AMP Capital's Global Fixed Income team's research process is founded on quantitative tools which are augmented by qualitative assessments. To manage an active portfolio of Australian investment grade government bonds and credit securities. AMP Capital Investors Ltd (AMP Capital) is one of Australia's largest investment managers who specialise in fixed interest, equities and multi-asset solutions, together with a distinguished heritage and strength in real estate and infrastructure. The company's expertise across asset classes means clients benefit from deeper investment insights and a focus on delivering strong investment outcomes. AMP Capital shares a 160-year heritage with AMP Group, one of Australia's largest insurance and investment providers. AMP Capital's Global Fixed Income team identifies investment opportunities based on valuations and manages risk through a process combining interest rate and credit-specific research. The team's interest rate process combines a robust quantitative framework with qualitative market analysis to develop strategies in duration, curve and international interest rate spreads. The market analysis includes fundamental macroeconomic research, flow analysis (patterns of buying and selling), market positioning, valuation and price momentum. The team's credit investment style combines a top-down approach with bottom-up credit analysis. Top-down macro credit research focuses on global credit spreads in key credit sectors, while bottom-up research is focused on a global industry basis. The team identifies where credit markets are positioned within the credit cycle, and focuses on industries that are likely to outperform their peers on a risk-adjusted basis. 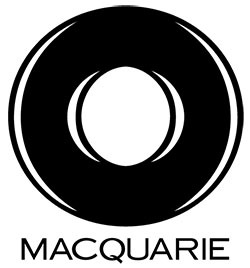 Macquarie is one of the largest fixed interest managers in the Australian market. Macquarie Group Limited, a global provider of banking, financial, advisory, investment and funds management services. Founded in 1969, Macquarie Group Limited employs more than 13,600 people in over 28 countries. Macquarie Funds Group (MFG) is the funds management arm of Macquarie Group Limited and is Australia's largest global asset manager and a top 50 asset manager worldwide. MFG includes Macquarie Investment Management Limited (Macquarie), the securities asset management business. Macquarie offers securities investment management capabilities across a number of asset classes including fixed interest, currencies, equities, infrastructure securities, private markets, hedge funds and multi-asset allocation solutions. It delivers a full-service offering to both institutional and retail clients in the US and Australia, with selective offerings in other regions. Wellington is one of the world's largest independent investment management firms. To manage an active portfolio of investment grade global government bonds and credit securities. Tracing its roots to 1928, Wellington Management Company, LLP (Wellington) is one of the world's largest independent investment management firms. Wellington serves as a trusted adviser to more than 2,100 institutional clients and mutual fund sponsors in over 50 countries. Its innovative investment solutions are built on the strength of proprietary, independent research and span nearly all segments of the global capital markets, including equity, fixed interest, multi-asset, and alternative strategies. As a private partnership whose sole business is investment management, Wellington's long-term views and interests are aligned with those of its clients. Wellington's commitment to investment excellence is evidenced by its significant presence and long-term track records in nearly all sectors of the liquid, global securities markets. Rebranded in June 2017, the BNP Paribas Asset Management (BNPP AM) Fixed Income business was previously named Fisher Francis Trees & Watts and was founded in 1972 as a dedicated institutional fixed income and currency management firm. To manage an absolute return portfolio of Fixed Income securities. BNPP AM is a global asset manager with $841 billion in assets under management and advisory as at 30 June 2017. Backed by the BNP Paribas Group, BNPP AM has four main investment groups: Fixed Income, Private Debt and Real Assets, Equities, and Multi-Asset, Quantitative and Solutions. The BNPP AM Fixed Income investment organisation has a dedicated focus on institutional Fixed Income management, and has teams on the ground in 18 countries, with over 100 investment professionals. The organisation manages $435 billion in Fixed Income assets, as at 30 June 2017. Kapstream's founders previously worked for PIMCO Australia. To manage an absolute return portfolio of primarily investment grade fixed income securities. Kapstream, founded in 2006 focuses on absolute return/cash plus strategies within the global fixed interest space. Kapstream aims to provide clients with customised solutions while targeting capital protection, diversification, high levels of liquidity and low levels of volatility. In managing absolute return strategies in the global fixed interest space, Kapstream is able to maximise investment returns for clients. The capacity to move in and out of specific sectors and countries within the fixed interest universe, permits Kapstream to seek areas that are priced for greater return potential. This strategy entails a profile that is different relative to most traditional bond fund managers, however the Kapstream portfolio is expected to serve as a complement to bond portfolios by providing consistent returns over all business cycles. Additionally, Kapstream's investment approach will have a broader investment universe than most fixed interest funds in Australia, offering a product with a comprehensive global focus. PIMCO was founded in 1971 in Newport Beach, California. PIMCO has offices across the globe, with 2,500 professionals united by a single purpose: creating opportunities for investors in every environment. PIMCO introduced investors to a total return approach to fixed income investing. In the 45+ years since, PIMCO has continued to bring innovation and expertise to their partnership with clients seeking the best investment solutions. PIMCO partners with a wide range of institutions, including corporations, central banks, universities, endowments and foundations, and public and private pension and retirement plans. PIMCO also works with financial advisers and millions of individual investors pursuing personal financial goals. This ranges from preparing for retirement, to funding higher education. Investing clients’ assets is a huge responsibility, that PIMCO don’t take lightly. PIMCO works relentlessly to help investors reach their goals. CFSGAM is the consolidated asset management division of the Commonwealth Bank of Australia. To manage cash and bank term deposit portfolios. Colonial First State Global Asset Management (CFSGAM, known as First State Investments outside of Australia) is the consolidated asset management division of the Commonwealth Bank of Australia. CFSGAM is a global asset management business with experience across a range of asset classes and specialist investment sectors. CFSGAM is one of the largest managers of Australian sourced funds, with a growing presence in international markets. CFSGAM and First State Investments collectively manage funds on behalf of institutional investors, pension funds, wholesale distributors and platforms, financial planners and their clients worldwide. CFSGAM is a world-class asset management business with a global footprint with offices located in Sydney, Melbourne, London, New York, Paris, Frankfurt, Edinburgh, Hong Kong, Singapore, Tokyo, Jakarta and Auckland; and represented in Beijing and Shenzhen through the First State Cinda joint venture. CFSGAM employs teams of investors who are specialists in their respective fields and set their own investment style. Their incentive structures are directly aligned with the results they deliver for clients. CFSGAM's investment teams are structured so managers and analysts are given a strong sense of portfolio ownership. They believe this promotes commitment and intellectual engagement, aligning their interests and success with those of their clients. Macquarie has managed GESB's cash portfolio since 1992. To manage a portfolio of Australian cash securities. An account keeping fee of $66 per annum or $5.50 per month. This is the fixed dollar amount to manage your account. 0.04% per annum of your account balance deducted monthly. This is the administration cost of managing your account. The AER is also referred to as an 'administration fee'. The Indirect Cost Ratio (ICR) includes all of the investment costs and any additional underlying costs relating to your investment. It is an annual percentage fee which covers the cost of managing the fund's investments including a proportion allocated to risk reserves. The cost of managing different investments varies, so the ICR is different for each investment plan. For example, investment costs for the Cash plan or Conservative plan will be lower than those for a Growth plan, as growth assets are typically more complex and expensive to manage and have higher transaction costs. Statement of fees and other costs are based on fees as at 2017/18 financial year. Includes all investment and administration fees and expenses for an account balance of $50,000. For more information, see the West State Super schedule of fees . You should read all the information about fees and costs, because it is important to understand their impact on your investments. Our ICR is not fixed, and is reviewed periodically and adjusted to take into account prevailing investment expenses. The actual ICR can only be determined at the end of each financial year. This is estimated to be between 0.06% pa and 0.74% pa of the value of your investments, depending on which investment options you choose. This is deducted from the fund's assets before the daily unit price is calculated. Many super funds charge a buy/sell spread when switching between investment options. These are transaction costs to cover expenses such as brokerage and stamp duty that is incurred when buying and selling units. We do not currently charge a buy/sell spread when switching between investment options. Thank you for printing this page. 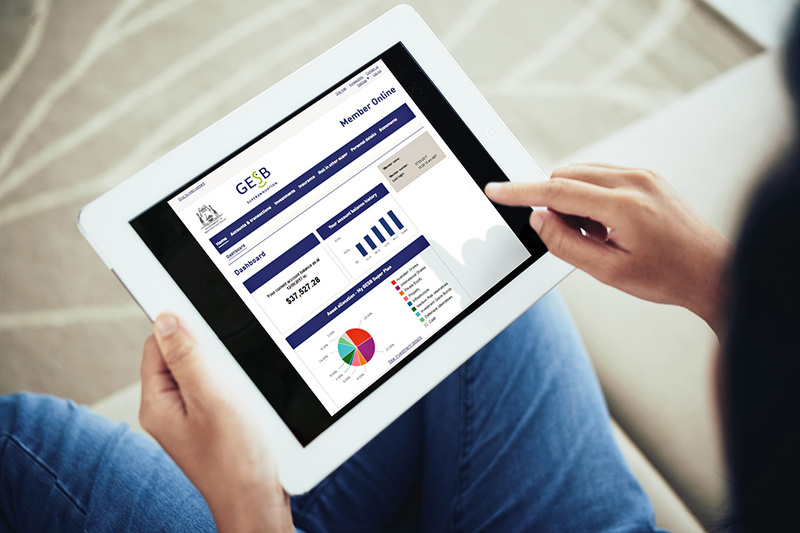 Remember to come back to gesb.wa.gov.au for the latest information as our content is updated regularly. This information is correct as at 01 October 2018.